The perfect attire, the best location, and the food: these are all elements of a perfect wedding. Food is one of the key focal points of your day, and something you want your guests to remember when they think back on the event. When it comes to food, the inevitable question of whether or not you should cater the food, DIY the food, or have a restaurant assist with the food can be a challenge. Some people love having the ability to make their own food, or they assume making and serving their own food is cheaper. We promise hiring a professional to create and serve your food is always the way to go! Hiring a caterer is one of the easiest ways to reduce your stress burden when it comes to planning your wedding. Your caterer is there to alleviate and handle one aspect of your wedding day so you can forget about it, and enjoy! We are equipped to bring the restaurant to you! We will create and prepare all items for you, transport them to the event, stage them and perfect each detail, and then we will assist with bussing your tables and cleaning up after the fact. One less thing to worry about at the end of your big day. 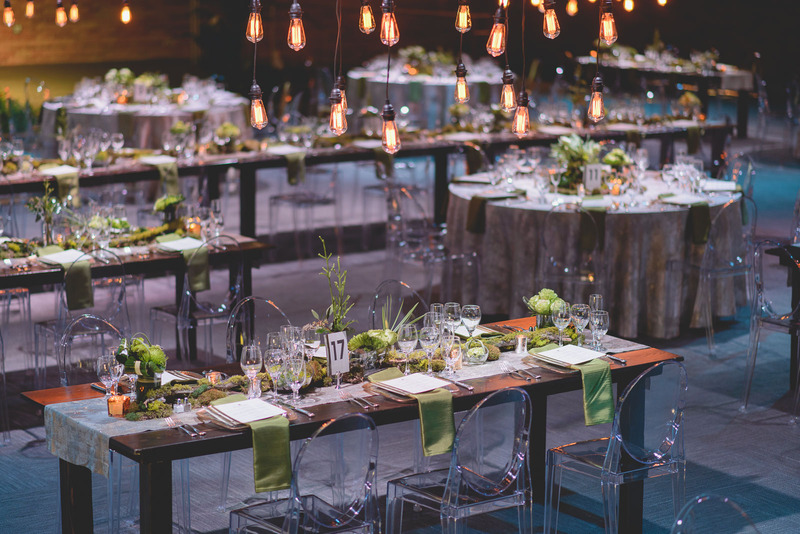 Caterers have the expertise to match your theme, style, and flavor pallets, work hand in hand with them to create something fabulous! Here are a few other reasons to hire a professional caterer to assist you on your special day! Save yourself time and relax knowing you do not have to worry about all the details of the food. You don’t need to worry about preparing it, making sure you have it to the venue at a specific time, serving it, ensuring you have tableware for it, and of course making sure you have enough food for your guests to enjoy. The wedding day itself is already full of emotions and extra stress, don’t give yourself the burden with the food and let someone else handle it so you can get back to enjoying your wedding day! When you hire a catering company, you can have access to a range of menu options. LUX will work with you to create your menu from scratch and match it perfectly to your wants, needs, and themes! You may be limited to only a few ideas when you choose to plan your own food and have your relatives cook it, versus hiring a catering company to handle it. Having friends and family cook and serve the food can create undue stress on the people that should be enjoying your special day at your side. If you want to impress your guests, hire a catering company to deal with the preparation of the food. They focus on finding delicious and innovative menus, and they excel in the preparation. After all, that is what they’re trained to do. 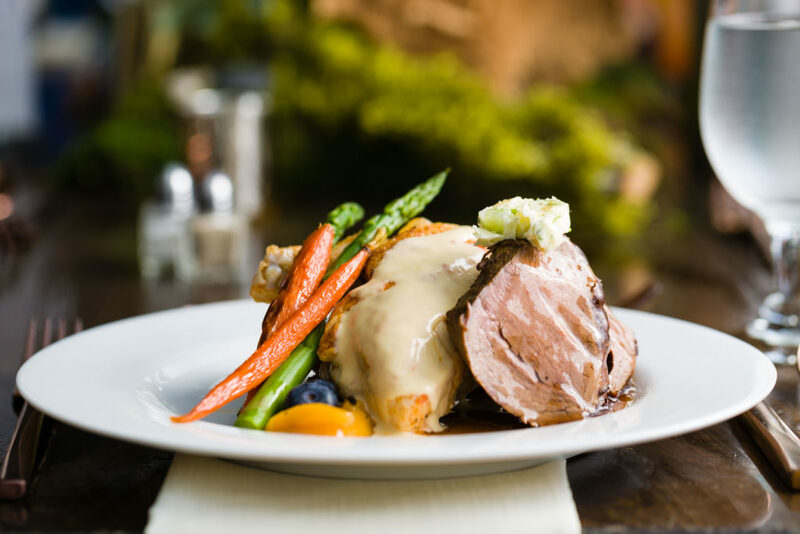 Presentation of your food is sure to add luxury to your wedding food. You can tell the chef what you’d like your dish to include or showcase, and they can put their skills to work to impress you with the presentation of the food. Presentation is all part of the food experience, and it’s one that will ensure your wedding guests have an enjoyable time. A simple aspect to the day that is often overlooked. After you and your partner have shared the joy of cutting the first slice of your wedding cake, who is in charge of the rest of the tiers? LUX offers a cake cutting service to make sure that you are able to effortlessly transition back to your wedding timeline and know that in a few short minutes your cake will be cut and ready for your guests to enjoy! If you do your own food, you will need to wash dishes, toss out garbage, and other tasks that just aren’t the best way to end your wedding day. Leaving the family and friends behind to handle it can also be inconsiderate to them. Hiring a professional caterer ensures that you can enjoy your wedding send off while knowing the venue will be left clean and spotless! It’s your wedding, you deserve to enjoy it! Let LUX help with all the details that need to be taken care of when it comes to finding that right wedding food!